our walk in robe and the hallway. A huge section of the house to tackle all at once. Last weekend PC’s hard labour finally came to fruition and he was able to paint the games room. 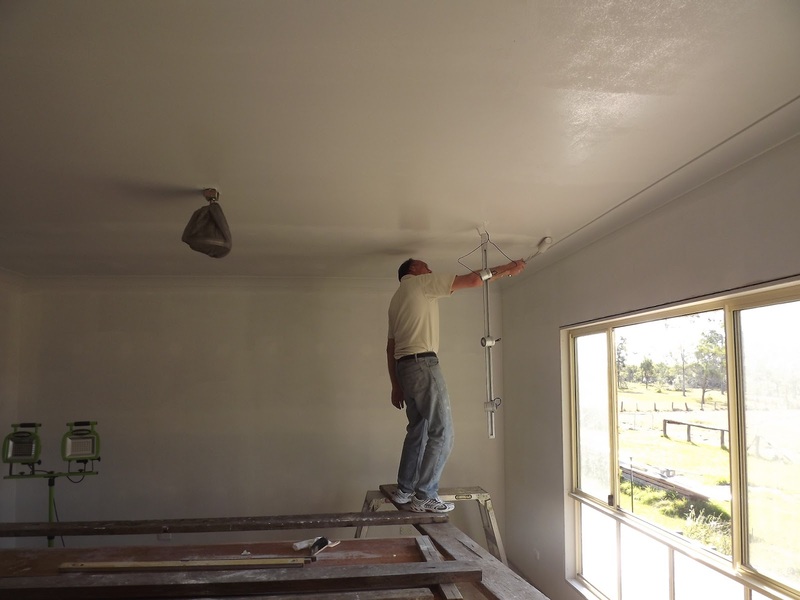 Such an exciting moment:) He has done a magnificent job of plastering this ceiling! 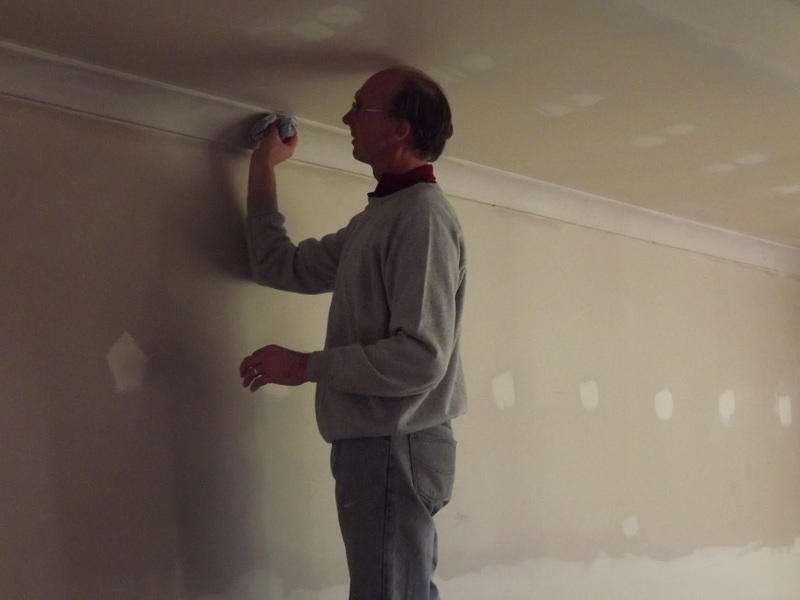 He was so determined to finish this room he painted late into the night. To see this room that has essentially been a timber yard and catch all for building supplies become a ‘real room’ has been thrilling to say the least. Just looking at this room gives me much pleasure, and I know it will be a room to be used often in the years to come. It is already seeing much use. 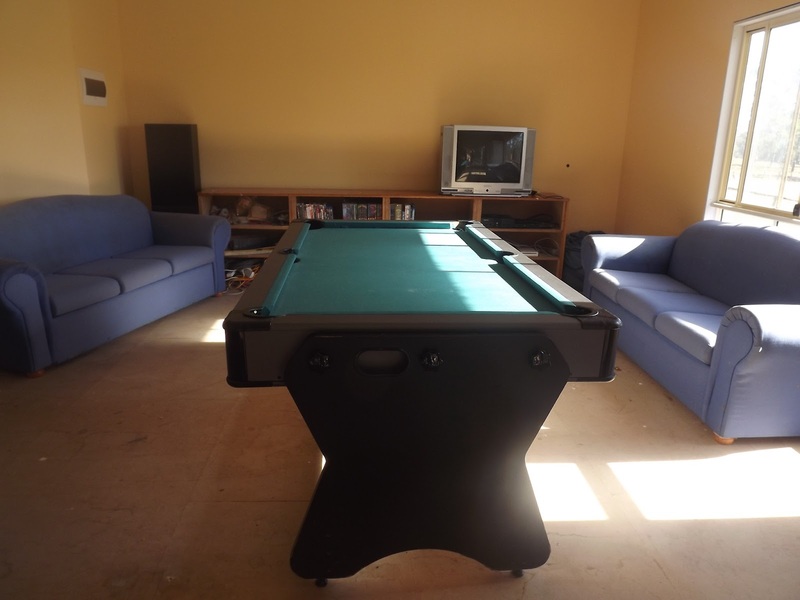 The pool table is the central focus, but it also houses the screen for the wii, playstation and x-box. The lounges of course add comfort and are already seeing much use. The white cupboard to the right is our games cupboard, lots of favourite board games to enjoy on our new games table(front right). This beautiful, new, circular table is just perfect for this corner and so inviting. Our walk in robe also stands ready, waiting for me to finish designing what shelves, drawers etc I want. PC is keen to begin building them:) Oh I’m a blessed woman. Once again, another excellent job PC!! 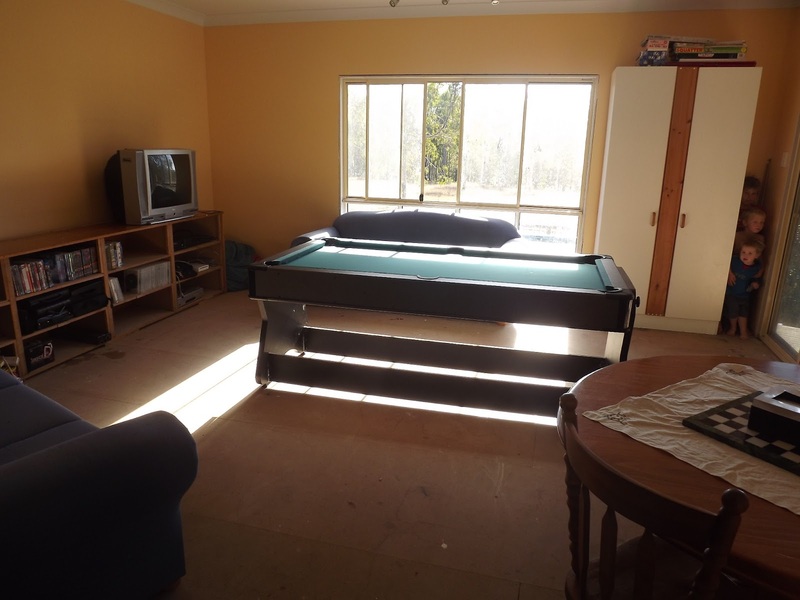 Your games room will be such a bonus for many years. It looks amazing – well done PC. You are indeed very blessed. 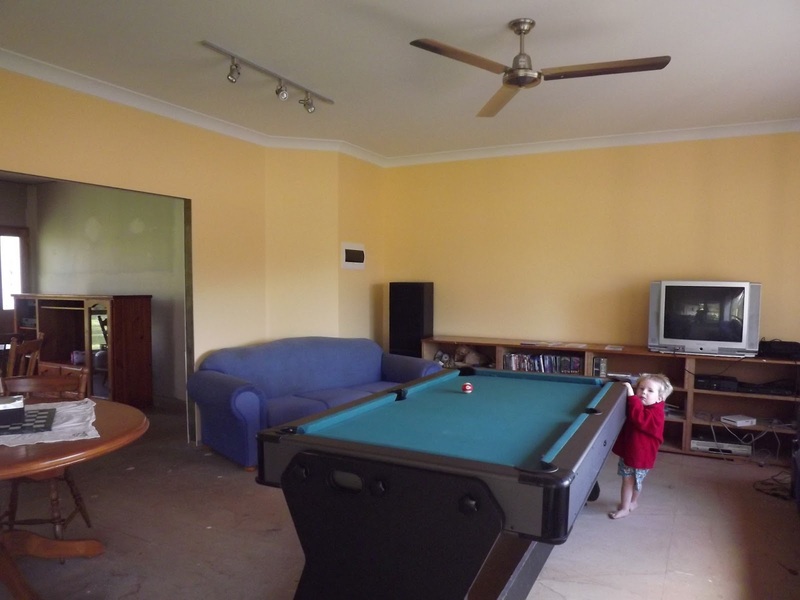 What a great space for the family to enjoy being together! How wonderful Erin. 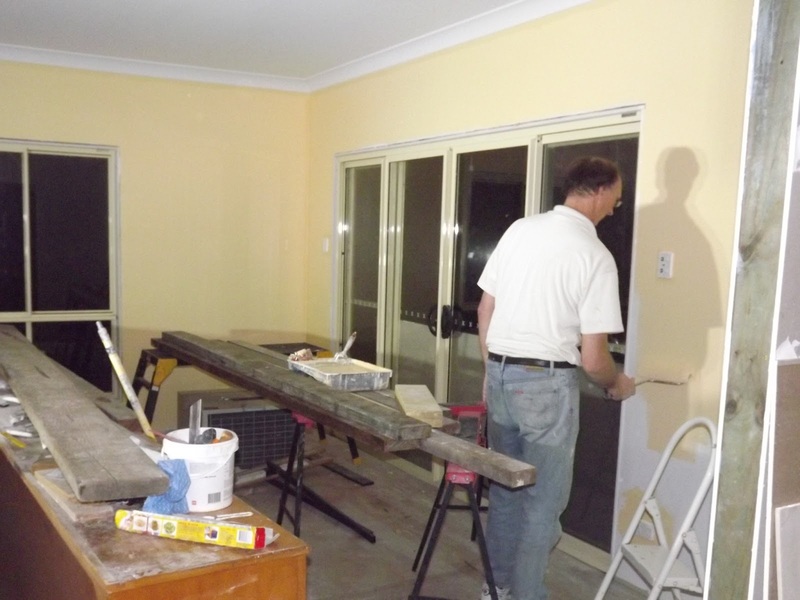 Steve has finally finished our laundry and has started on the back verandah. The previous owners started painting it so it has 3 different colours all along it. The colours are pink, purple and white. Not the best look. I really have to take photos so that we remember just how bad it was. I am pretty sure I have pictures on my blog of our walk in robe. We have had it for several years now and it is very functional. Will go and look for a link for you. What a great room! I need a page of house-related posts all linked up so I can get the big picture. You guys have been working so hard on so many projects, sometimes it seems like your house goes on forever! Spoke to soon! I found the Extension page! That helps. Lounges are hard to clean though, if only I could find a way. I do have the extension page, but…you now have me thinking, a whole page with links could be very helpful. what do you think?